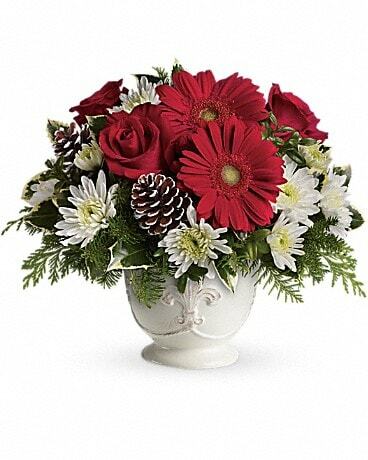 Teleflora's Simply Merry Centerpiece in Traverse City MI - Cherryland Floral & Gifts, Inc. 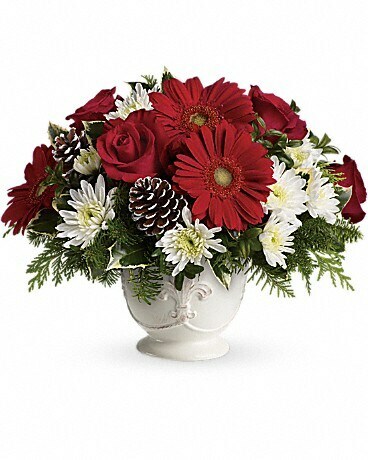 This "simply merry" bouquet boasts red gerberas and roses arranged with a fleur-de-lis motif. This "simply merry" bouquet boasts red gerberas and roses arranged in our charming French country pot with a fleur-de-lis motif.